Each successive version of Parallels Desktop pushes the technology to the limit, speeds up the virtual machines, and adds new features. Version 7 continues that tradition and also exploits some of Lion’s new features. 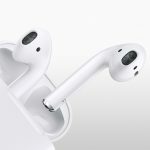 It’s a must-have upgrade. Parallels Desktop is an application that exploits the ability of the Intel CPUs to simultaneously run additional operating systems as guests, in a virtual environment. (These are called virtual machines, or VMs.) That allows, for example, supported versions of Windows, Linux, Solaris, and other OSes to run inside a window (or full screen) right along with OS X. All of the screen shots in this review were taken by the author, except as noted. Windows hard drive now shown on OS X desktop. 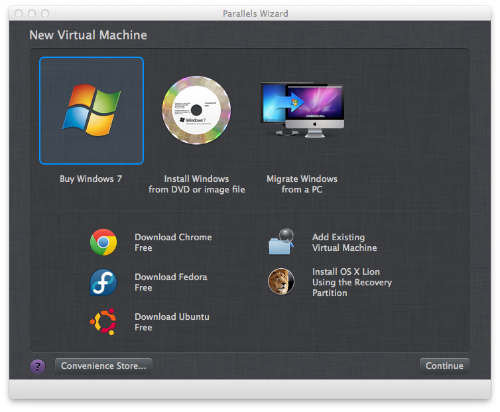 Parallels Wizard makes it clearer how to set up a new VM. Ability to purchase Windows 7 from within the Wizard. Ability to download Linux VMs from within the Wizard as pre-built Virtual Appliances. For example, Fedora 15. 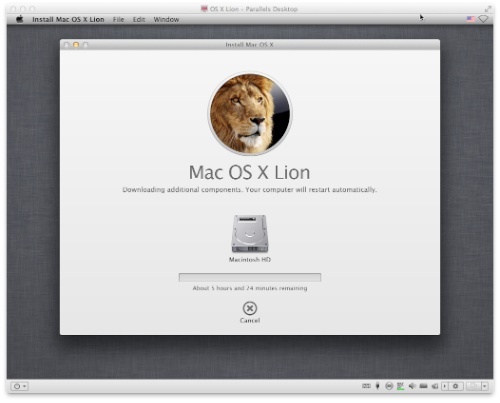 Ability to install OS X Lion as a VM, pulled right from the recovery partition of Lion. New version of Parallels Mobile which allows access to PD7 and its VMs remotely from, say, an iPad or iPhone. Continued removal of barriers between OS X and Windows. 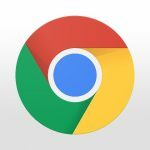 Windows apps support copy and paste with OS X apps and printer access is seamless from Windows to Mac connected printers. The Mac’s iSight/FaceTime camera can now be shared between OS X and Windows. PD7 user interface rewritten in 64-bit Cocoa, a continuation of the conversion to a full 64-bit system started in PD6. The Help system has been rewritten to have the look and feel of OS X Help. 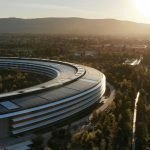 Parallels claims that, according to its internal testing, PD7 provides up to 45 percent faster 3D graphics compared its predecessor, Parallels Desktop 6. Windows launch time is 60 percent faster. I didn’t do a timed performance test, but I can confirm that the Windows 7 launch time feels much faster. PD7 installs right over PD6. Everything required is updated by the installer, and PD6 is deleted from your Mac. So if you think you may need PD6, for some reason, you should tuck it away somewhere safe and offline. I am a user of Little Snitch, a kernel extension and user app that allows one to monitor OS X’s outgoing connections. During the install and configuration of Parallels Desktop, an amazing number of (legitimate) outgoing connections are made, and if you happen to click the wrong button (as I apparently did), the Ethernet interface by the VMs can be outright killed. One manifestation of this is /Library/Parallels/Parallels Service.app gets blocked in OS X’s firewall. I didn’t have any luck fixing this manually, so I disabled the OS X firewall, disabled Virus Barrier X6* and disabled Little Snitch. Then, thanks to the fact that Parallels Desktop always includes an uninstaller, I uninstalled PD7 completely and reinstalled. Then my VMs were able to access the Internet normally. I’ve slowly turned my security back on, step by step, with no further impact. * If you’re using Little Snitch and/or an additional firewall in a security app, I recommend you disable them before you upgrade to PD7, so it can do its thing with various outbound connections fast and seamlessly. The first thing you’ll notice is that the PD6 Splash Screen is gone. (See my review of PD6.) The attractive and colorful opening screen was jarring at first for veteran users, and it seemed to be a concession to the many new users to help them get started. But, over time, it seems it just slowed users down, me included, and it’s now gone. 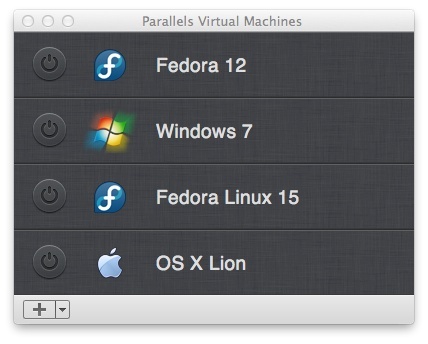 Parallels correctly assumes that the first thing you want to see is a list of your VMs and then launch one. In place of the former Splash Screen is a handsome looking Wizard (File -> New…) that guides you through the typical tasks you may want to perform, for example, purchase, download and/or install Windows 7, install another virtual machine from an .iso file, download a Fedora or Ubuntu as a pre-configured Virtual Appliance, or migrate your files from a physical PC. The look of this Wizard is in beautiful grey and silver tones, but more importantly, it’s intuitive. If you select the second major icon at the top, the Wizard will either let you select the SuperDrive for a guest OS install or it will display, in the popup, the list of .iso files you’ve previously downloaded. It couldn’t be easier. 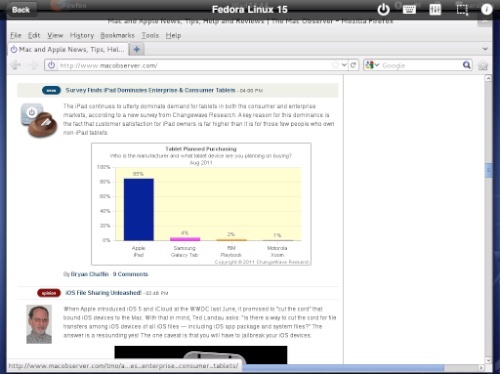 In my case, I hadn’t upgraded from Fedora 12 to anything later, and so I elected to download Fedora 15 from the Wizard. The VM list has a nice display of the progress. After you’ve downloaded the Fedora or Ubuntu Virtual Appliance, it’s ready to launch with “parallels” as the name and password of the administrator account. To launch on of the VMs, just click it. To configure one of the VMs, right click it. Other than that, and the initial trouble I had with Windows 7 accessing the Internet (my fault; see above), Windows 7 launched very quickly and was very responsive. Fedora 15 launched nicely after download, but exhibited an odd white screen cosmetic defect when the desktop appeared. Clicking on the desktop makes it go away, and I had no other problems with Fedora. 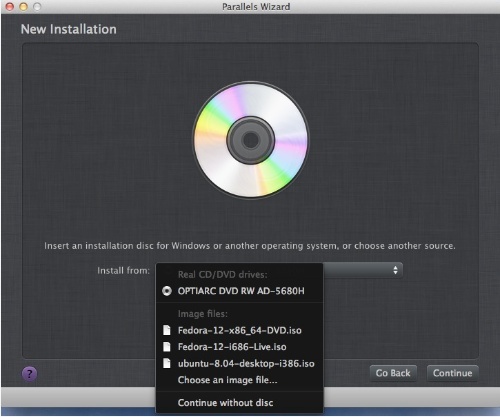 I couldn’t wait to try the installation of Lion as a VM, and the PD7 Wizard makes this particularly easy. 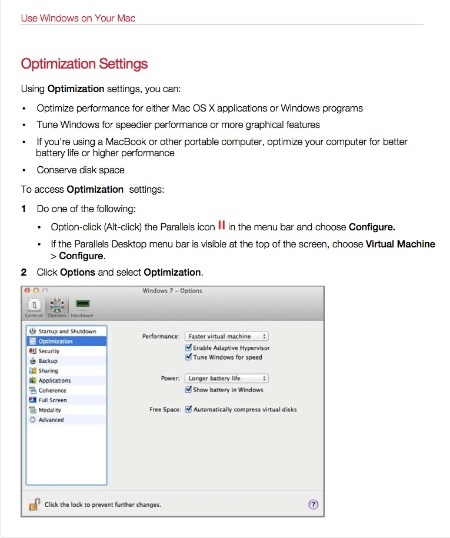 It invites you to install OS X Lion as a VM from the recovery partition you already have if you’re running Lion. I can see how running Lion from within Lion for testing or development, with Parallels Snapshots, could come in very handy. 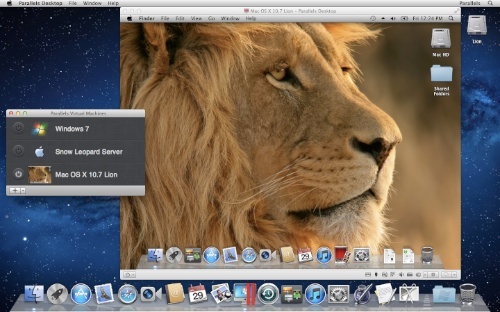 Here’s a screen shot of Lion running as a VM (supplied by Parallels) I noted with glee that the Lion VM also has its own recovery partition on the virtual drive that supports the Lion VM. I didn’t try to install PD7 from within Lion running as a VM, in a kind of recursive nightmare. I doubt it would work because Parallels Desktop needs to touch the hardware in a very intimate way. Even though you’re installing Lion from the recovery partition, some elements are downloaded from Apple via the Internet. As a result, depending on your Internet speed, the progress meter may suggest a very long install time at first. 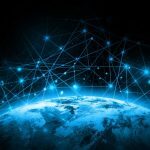 In reality, it doesn’t take long with a moderately fast broadband connection, and you’ll see the estimated time drop rapidly. In PD6, with my older iPad 1 and a MacBook Pro, I wasn’t able to connect from the Parallels iPad app to PD6 and manipulate the VMs. I was probably doing something wrong, but despite considerable tech support, I never got it to work. I am pleased to report that with PD7, the connection was a breeze. It connected quickly, and it was very cool to be able to see any of my VMs running from the iPad 2. My hardware has changed, namely an iPad 2 and a 2010 iMac, but I can’t say that that’s the reason for success. The fact is, I may have had a unique issue in the PD6 testing, and, happily, the issue is gone in PD7 and the new hardware. Here’s a shot of TMO , in Firefox 6, running in Fedora, as seen on my iPad Parallels app, connected remotely. The layers of virtualization and abstraction boggle the mind. The only problem I had with the iPad app was scrolling. I could use the hints and gestures to manipulate a VM from the iPad, but even with an app that supports scrolling. like Firefox, I couldn’t get the scrolling to work with the two-finger gesture. I’m checking with Parallels on this. Parallels Desktop 7 for Mac is available in English, French, German, Japanese, Spanish, Italian, Japanese, simplified and traditional Chinese, Czech, Korean, Portuguese and Russian. 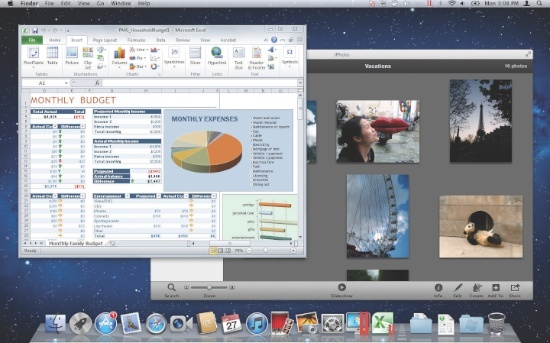 Note: the oldest version of Parallels Desktop that will work with Lion is PD6. The upgrade price to PD7 for current Parallels customers is US$49.99 ($39.99 for students). PD7 also includes a complimentary 90 day subscription to Kaspersky Mac and Windows anti-virus software, which can then be extended for a discounted price. While you could, technically, install Snow Leopard as a VM in PD7 in Lion, that configuration is not licensed by Apple. Also, Lion as a guest OS is not licensed to be run as a VM in Snow Leopard. (However, Snow Leopard Server is.) As a result, according to Parallels, “Lion as a guest [VM] is only supported on a Lion host, per Apple’s licensing restrictions.” That’s the configuration I experimented with above. The documentation I received as a reviewer was enormous and included screen shots, a reviewer’s guide, all press releases and a briefing deck (as PDF). Parallels certainly isn’t resting on its laurels here. For the end user, there’s a handsome and complete 215 page User’s Guide as well as excellent and easy to read in-app Help. This is some of the very best documentation I’ve ever seen for a Macintosh application. The User’s Guide makes excellent use of color, organizational layout, screen shots and includes a four page index. Except for a a trivial number of very minor glitches mentioned above, I found PD7 to be a joy to use. Its integration between OS X and Windows grows ever more seamless. The usability, speed and refinement continue to advance. 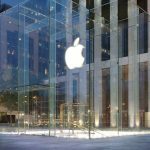 The company’s initiative to deliver version that exploits Lion so quickly after the Lion release indicates a company that’s aggressive and on top of the latest Apple technologies. The documentation is absolutely superb. The number of guest OSes, listed on page 113 of the User Guide, is amazing. 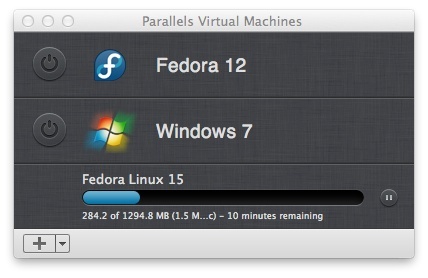 Parallels, in my view, continues to remain the leader of virtualization on the Macintosh. Fast, easy to use, easy upgrade, great integration with Windows, extensive list of supported VMs, remote access from iOS, easy install of Lion as VM, Lion feature support (Launchpad, Full Screen), ability to purchase Windows 7 from within the app, Windows support for FaceTime camera.